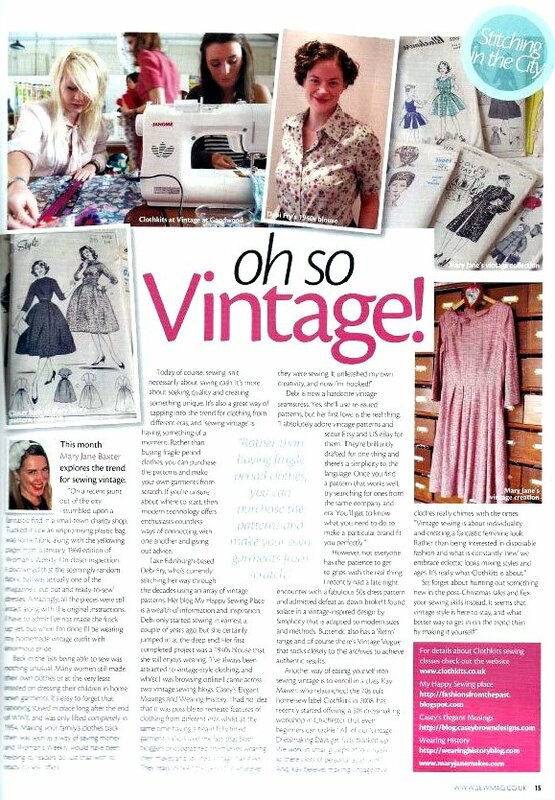 Mentioned in Vogue Patterns Magazine, Feb 2011 issue. My blog address has since moved here. The Chap Magazine, a UK Publication. Dec/Jan issue 2010-2011. 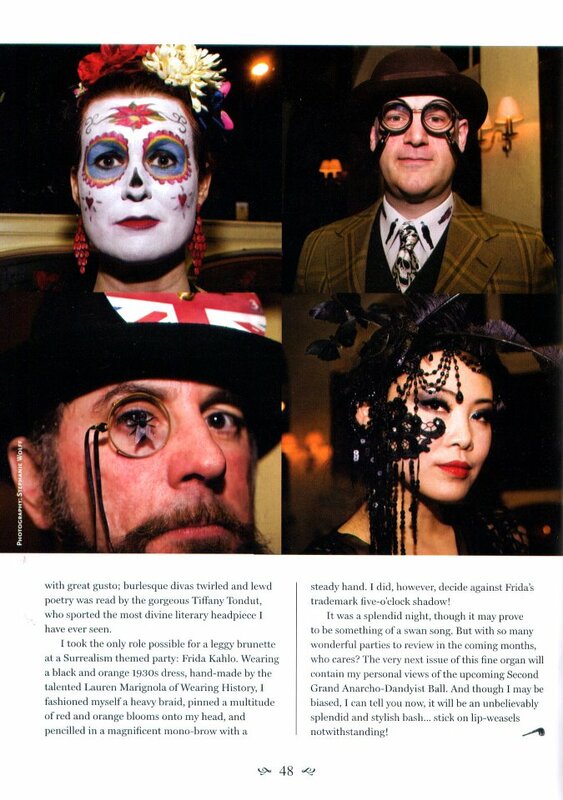 Mentioned in an article by Fleur De Guerre, “The Vintage Socialite”, who was wearing a dress I made to this event. Participant in A Common Thread project, featured on Sew Weekly with other prominent bloggers. 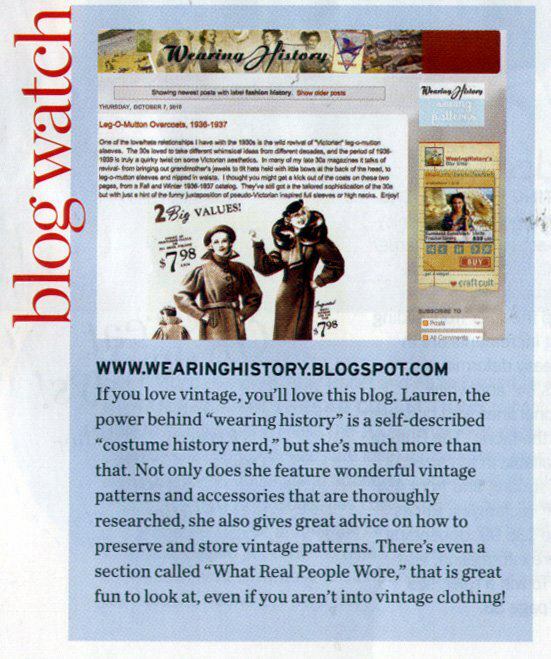 Was selected as Vintage Queen #52 of their top 100 (in no particular order) and featured on Queens of Vintage. Interviewed on American Duchess blog. Miss September 2010 on Alice Jean’s Vintage Dolls. Guest post by me on Collegiate Fashion on Casey’s Elegant Musings blog. Featured on Couture Allure blog. Patterns and blog featuredv on I’ll Take the Snap Out of Your Garters. Pattern line featured on Violet’s Vintage Vault blog. Pictured in the San Diego Union Tribune way back in 1998! All images are property of the above mentioned magazines and websites. Thank you for featuring me, my work, and my blog!